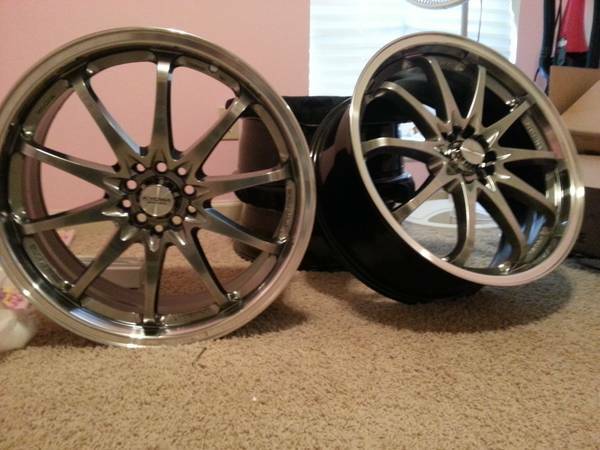 4 lug. 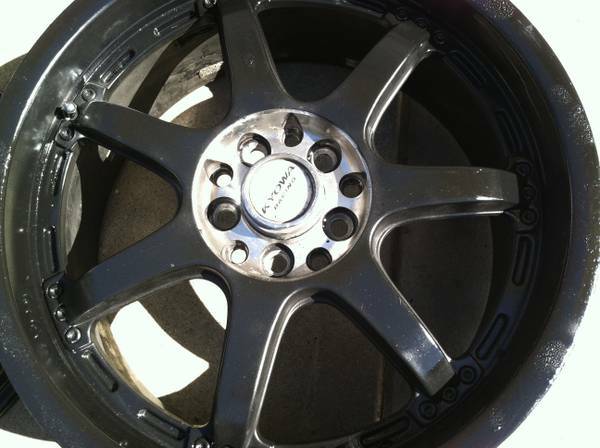 18 inch Kyowa racing rims with some curb rash on 1 rim. Nitto Neo-gen tires have less than 50miles of use. $500 obo...must sell asap all offers appreciated.